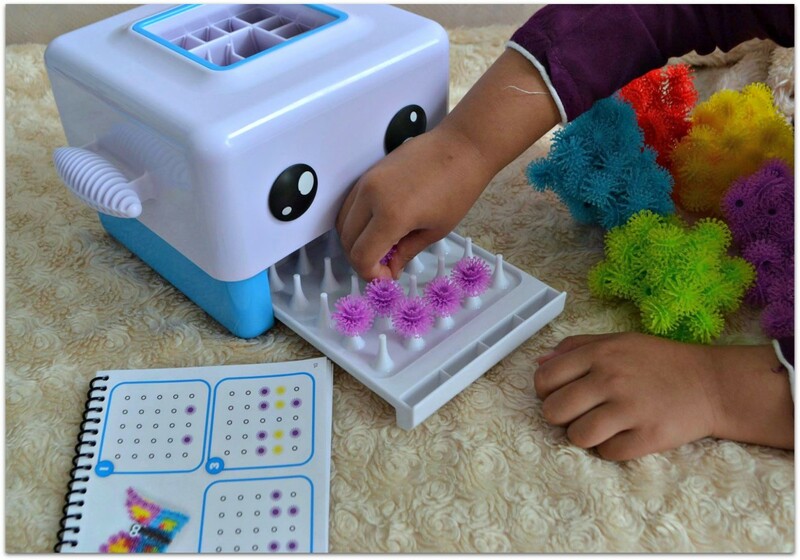 I had heard of Bunchems from Spinmaster but we hadn’t actually tried any, but recently we were given the opportunity to try out the Bunchems Bunchbot. It was the perfect opportunity to see what all the fuss was about. What are Bunchems and the BunchBot? 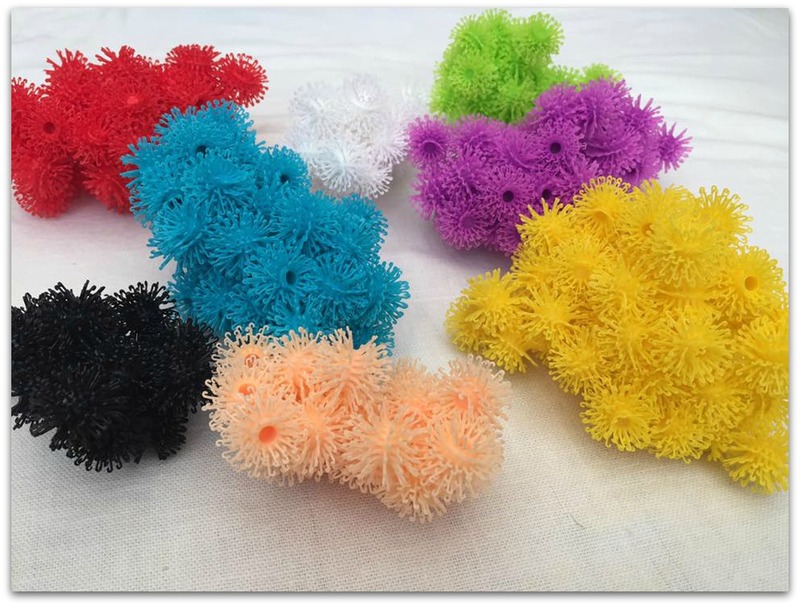 Bunchems are colourful balls that stick together to allow you to use your creativity and make different things. 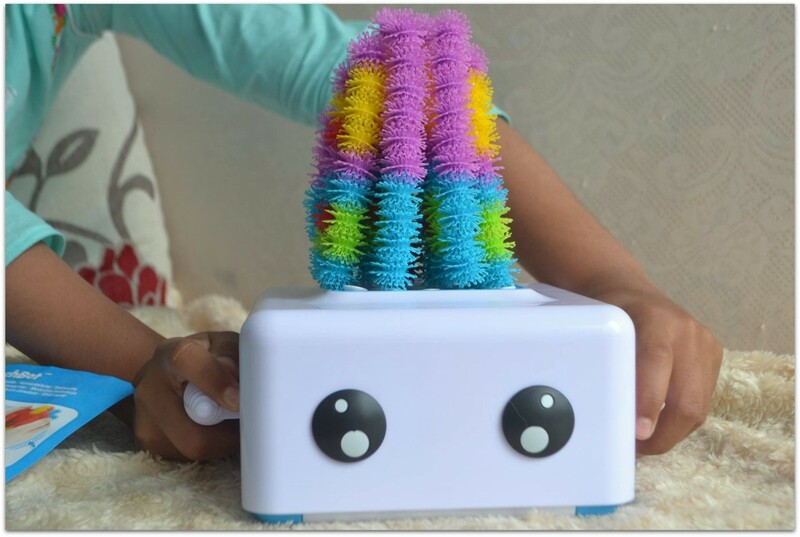 The BunchBot is a machine that helps you create things with ease by squeezing the bunchems together for you. Along with the machine you get some bunchems, a guide on how to make 19 things, accessories such as eyes and an aid to help push the bunchems out of the machine. All you have to do is go through the guide, pick what you want to try to make and follow the instructions. The guide givesnstep by step instructions so you can’t really go wrong. Simply place the bunchems in the right columns following the guide. After each row is done, press the Bunchbot down which results in that row being pushed up the BunchBot so you can then move on to the next sequence of bunchems. Once you have followed the instructions and used all the bunchems that are needed. You then need to push the whole creation out of the BunchBot. Do make sure the points are all aligned before pushing the bunchems through or you could end up bending the plastic points. Once they are all out you should squeeze them to make sure they are sticking together properly. Then you have to open them in certain places to finish your creation. Finally add your eyes! You don’t have to follow the guide. Once they have gone through and made everything in the guide, children can easily experiment and try to come up with their own creations. 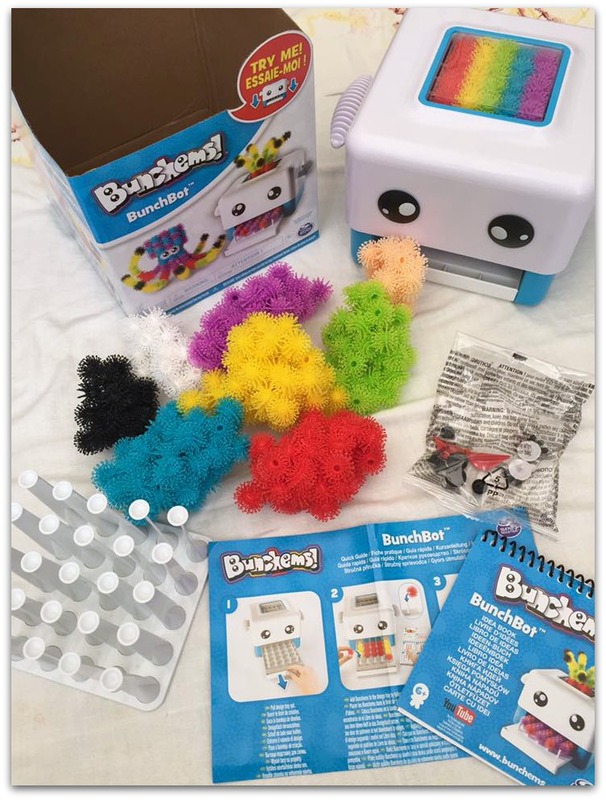 Bunchems BunchBot is available from all good retailers and Amazon: Bunchems 6036070 Bunchbot Craft Kit . 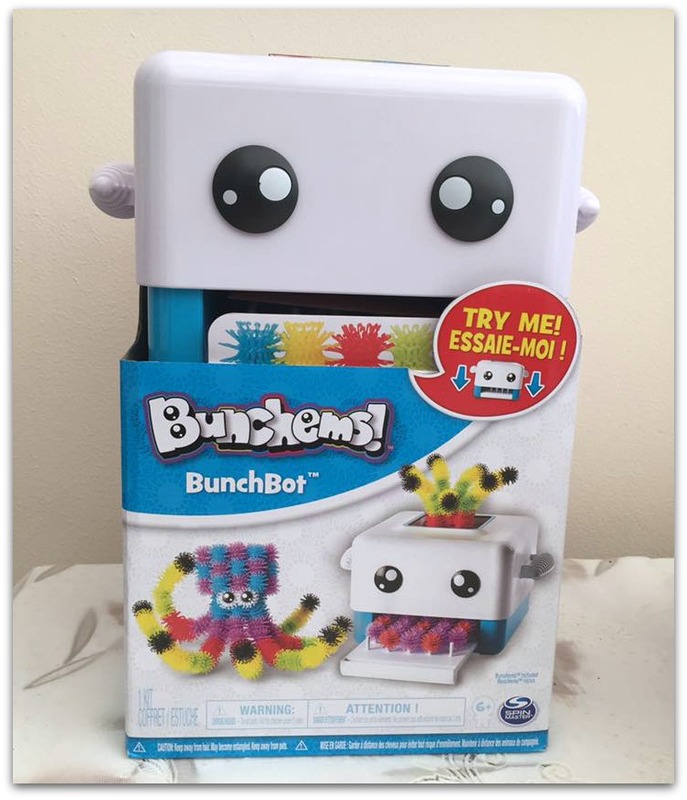 Disclosure: We were sent the Bunchems BunchBot for the purposes of review. All thoughts and opinions are our own. This post contains affiliate links. Yes I have mentioned in the post that you have to be careful with young children and long hair but personally have had no issues as both my girls know not to put them near hair. 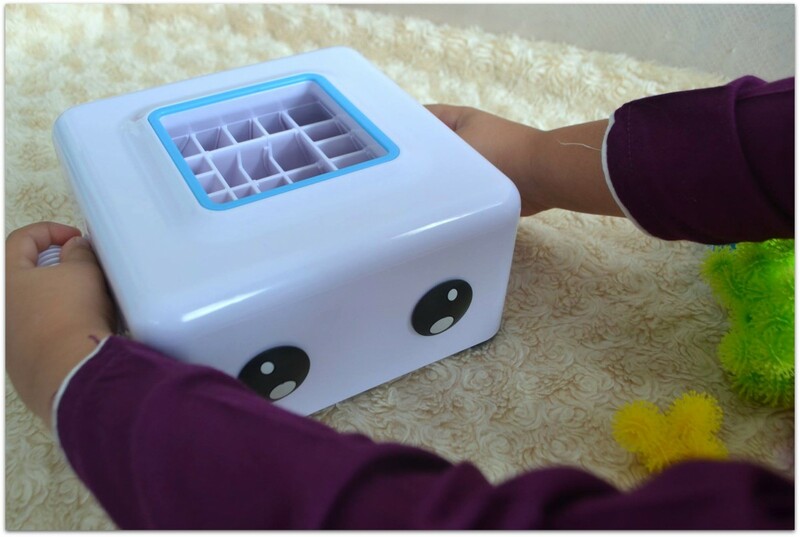 This toy sounds really cool for the kids who love being creative. Even i would love to give it a go and have some fun time. 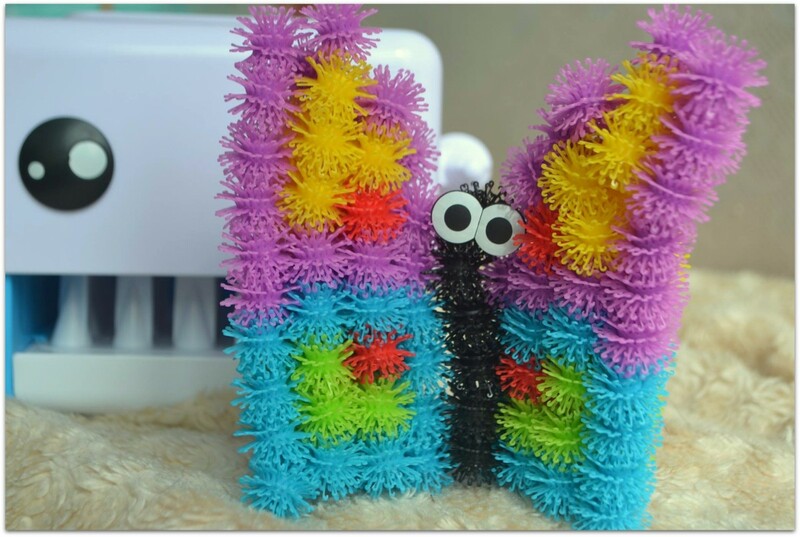 How cute and creative is this toy! I would never have imagined the end result turning out the way it does but that just goes to show how little my creative mind is! I hope your little are enjoying their new toy! I just read through the article. I have five nephew and nieces and I can definitely see my younger niece using it. The only concern I have is that they might get bored fairly quickly as it seems like quite a hassle! Although I have to say it makes being creative so much easier! Oh these look really cool! 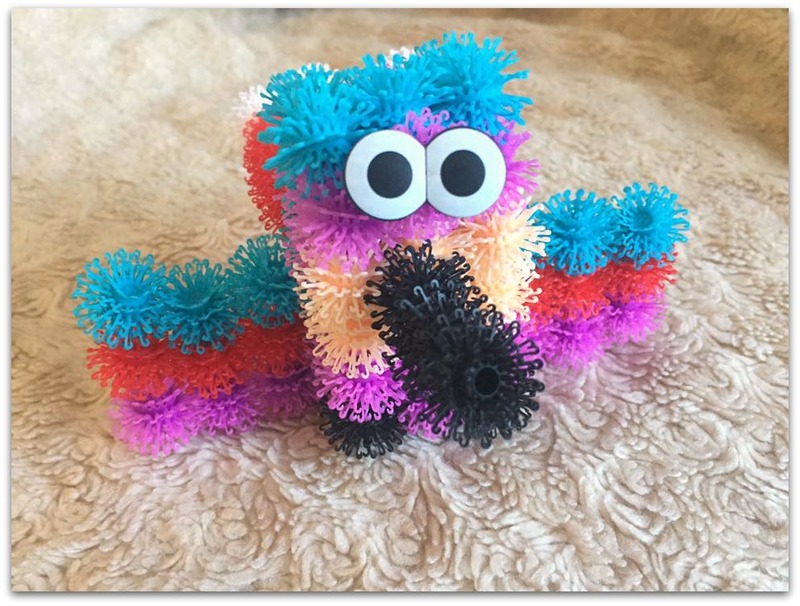 Looks like a toy my son would love and it’s quite cute that you can add eyes to them too. How cute and creative..My girls really enjoy with this kind of stuff.. These are SO cool! 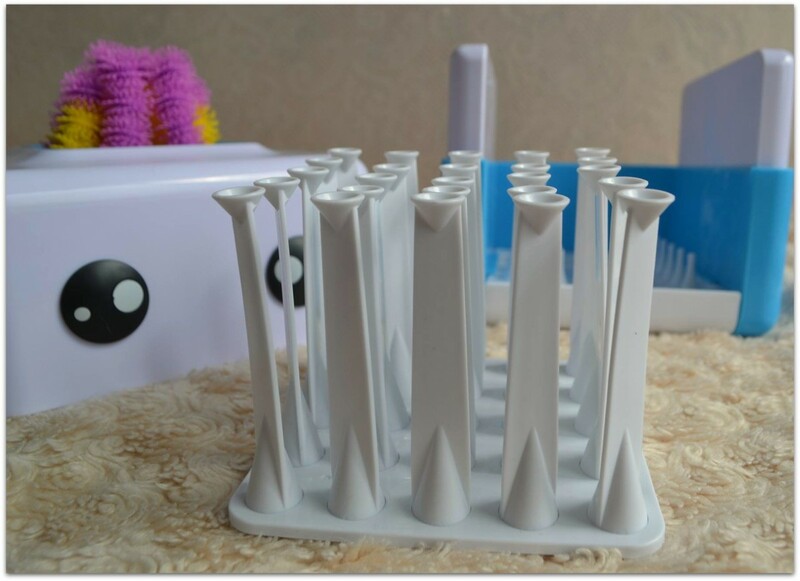 I saw them on Instagram earlier and thought that you had to assemble them – much like those cog type toys – but I didn’t realise they came with a little machine – the kids would love these!